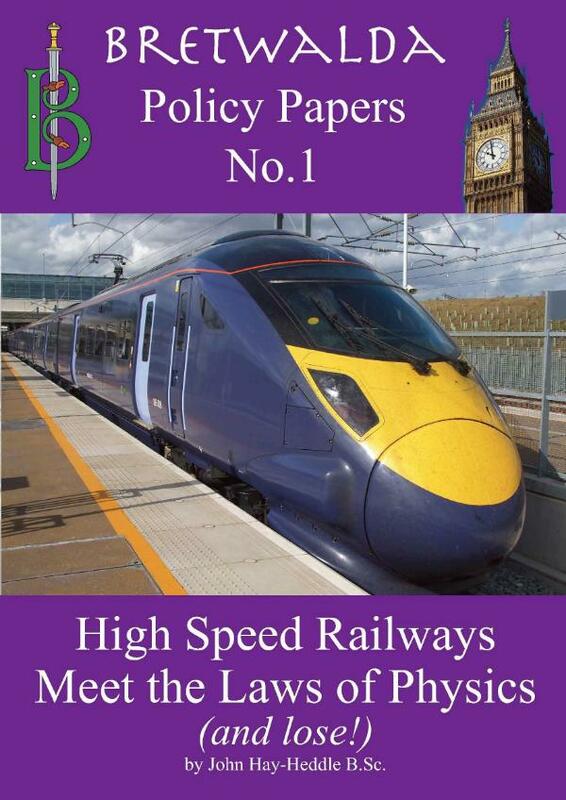 In all the enthusiasm for the concept of ‘High Speed Rail’ a vital question has been ignored. Just because something is possible, is it desirable? In this paper John Hay-Heddle sets out serious problems with the HS2 Project relating to energy reserves, climate change, safety matters, costs and other operational concerns. He demonstrates that a 250mph Super-train is nothing like as “Green” as its proponents claim, and that the business model is seriously flawed. John Hay-Heddle shows that to build and run a railway capable of a sustained 250mph will require technology, and costs, of a wholly different order from one running at 150mph. He shows how the government could do more good for more people by spending the same amount of money as is projected for HS2 on rebuilding our mainline networks – East Coast, West Coast, Great Central, and Great Western not to mention various East-West lines. In particular bringing them up to a level where they can sustain 150mph trains that can link up to the Continental system through the Channel Tunnel. HS2 is a political vanity project rather than a serious business proposition: an heir to the R101 Airship, the Bristol Brabazon aircraft or the Millennium Dome. It will be a white elephant built with public money: a modern, futuristic monument for political egos, doing little for national wellbeing.